The construction of a legend requires, as a vital input, the oversizing of reality. Otherwise, it would only be a story. Beyond the Woods The legend holds that Cornetist Buddy Bolden, a native of New Orleans, founded jazz, as if a person, in a certain time and place, had resolved to roll the foundations of this genre that continues today to be enriched with new variants and expressions alternatives. His story is so captivating that it catches the attention that the cinema would not have dedicated a protagonist. That omission concludes now, because next May the Bolden film will be released in the United States, where the music began, directed by Dan Pritzken, with the performance of Gary Carr, Yaya Da Costa and Reno Wilson and whose soundtrack was composed of played by Wynton Marsalis. The soundtrack will be available as a disc and on digital platforms at the end of April, while the film will arrive in Argentina this year, in different formats. Bolden, the film, is not a biopic in the traditional sense. 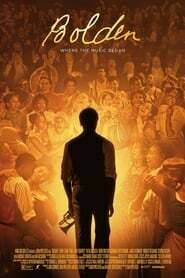 The Vice of Hope The need to feed the legend opens the doors to a history with diverse licenses, but the essence is rooted in what everyone assumes: that Buddy Bolden was a pioneer of jazz. Self-taught musician, afflicted by mental problems and applied to alcohol, Bolden was an event in the last decade of the nineteenth century, when he was just out of his teens. He began to play professionally in a band directed by Charles Galloway but soon put together his own. At the end of the century there were two groups that competed for contracts in dance halls: The Tribe Bolden and the violinist John Robichaux. Both groups used to play in Lincoln and Johnson parks in New Orleans, where the black community met. In his essential book History of Black American Music, Eileen Southern relates that the vigor of Bolden’s trumpet managed to attract the dancers that Robichaux summoned, which ended up transforming him into the undisputed musical leader of those times of jazzistic insinuations. It was his moment, the moment of King Oliver, as he began to call it.